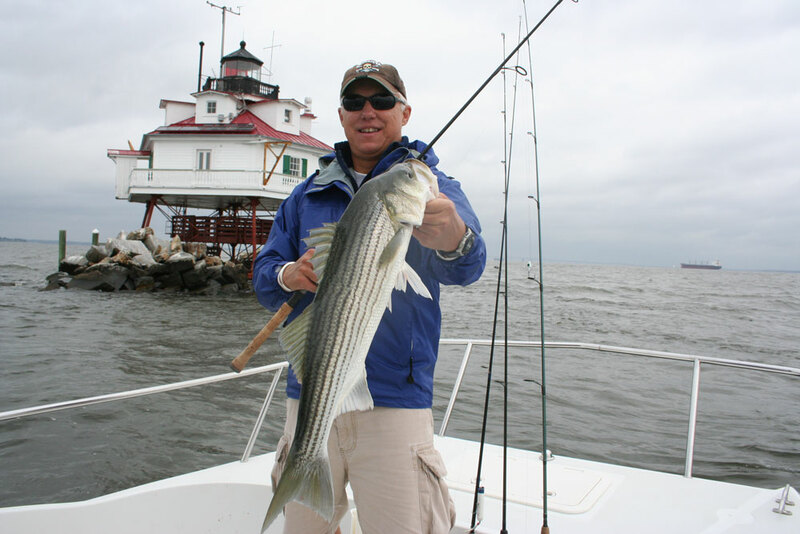 As the water cools off, striper fishing goes into full gear up and down the Atlantic coast. Use these tips to fill your fishbox. 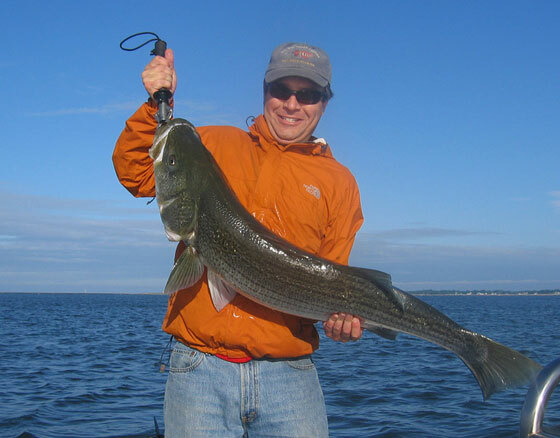 Are you ready for the fast action of fall striped bass fishing? Chilly temperatures and the changing seasons trigger a must-eat attitude in these predators, and if you apply these 10 tips, you’ll catch all you can handle. Fall may bring chilly temperatures and breezy conditions, but it also triggers an urge in striped bass to fatten up for the winter. 2. Watch for diving gulls. When stripers chase bait to the surface those gulls move in for an easy meal – and show you exactly where the fish are feeding. 3. Keep tabs on the migrating schools of bunker and finger mullet. 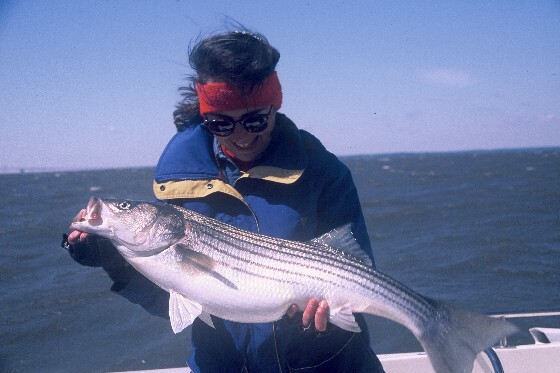 As these species move out of tributaries and bays for their annual migration down the coast, striped bass will be waiting at river mouths and inlets. 4. Match lure shade to water color. Baitfish change their shade to better blend in, and matching the hatch is always a good idea. In greenish water try chartreuse and lime, in tannic water use root-beer or purple, and in clear blue water stick with blues and blue/white combinations. 5. When you locate a school of breaking fish and you want to cast light tackle for them, approach from the upwind side. That way you’ll get in several casts as you drift through the school, instead of away from it. 6. Approach breaking fish at idle. Zoom to within casting distance, and you’ll scare the fish away. Also try to minimize shifting in and out of gear, keep your voice low, and don’t slam hatches. Any loud noise could shut down the frenzy. 7. Keep trolling and retrieve speeds on the fast side (four to six knots) until the water temperature drops into the mid 60s or below. Then, it’s time to slow down a bit. When temps are in the low 50’s, keep it to a crawl. 8. When stripers are feeding near the surface, hook live baits through the mouth or nose; that will encourage them to swim up. 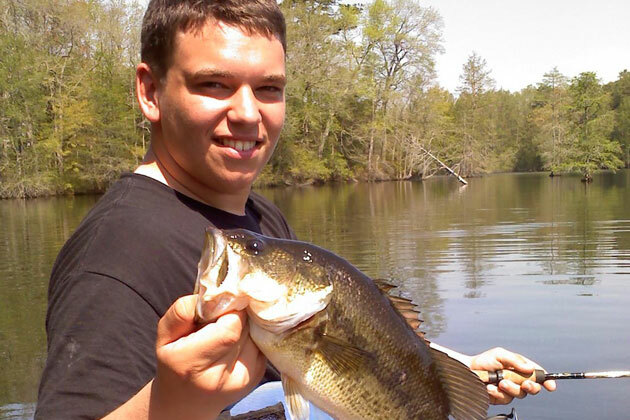 When the fish are deeper, hook baits through the back behind the dorsal fin; that will encourage them to swim down. 9. When setting up near a cluster of boats that’s chumming and you also plan to chum, always go to the down-current side of the fleet. That way you can take advantage of their chum slicks, as well as your own. 10. 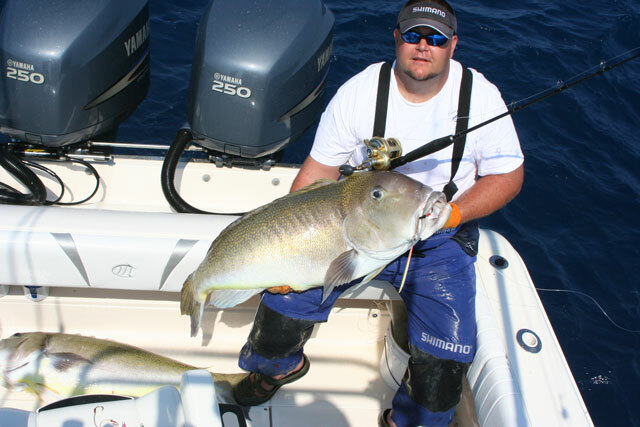 When you encounter a lot of undersized fish feeding at or near the surface, put on a heavy lure and fish 10’ to 20’ beneath them. Often, larger fish prowl beneath the main school of little guys and wait for an easy meal to sink down from the fray. 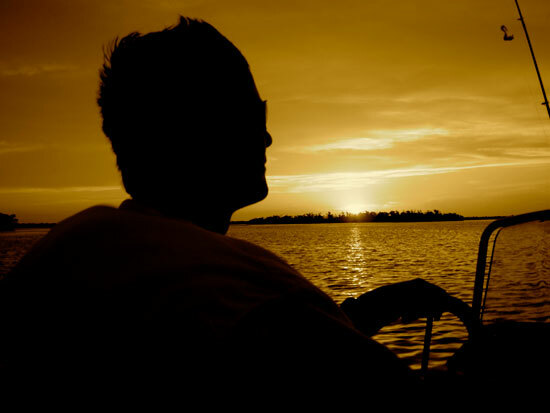 BONUS FISHING TIP: At daybreak and at dusk, try fishing the shallows. 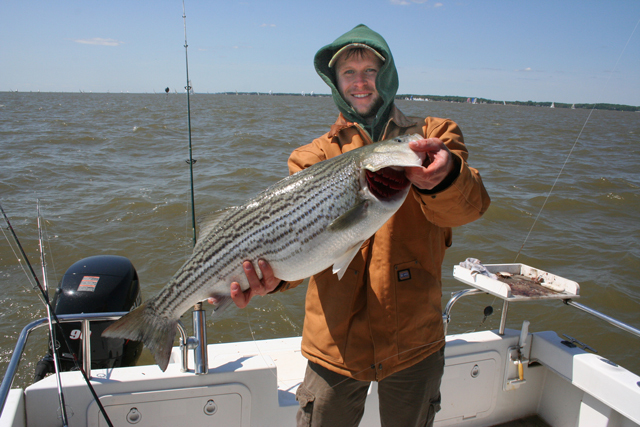 Striped bass will cruise shorelines and points in just a couple feet of water as long as the low light lasts. But as soon as the sun climbs over the horizon, expect the fish to move to deeper waters.